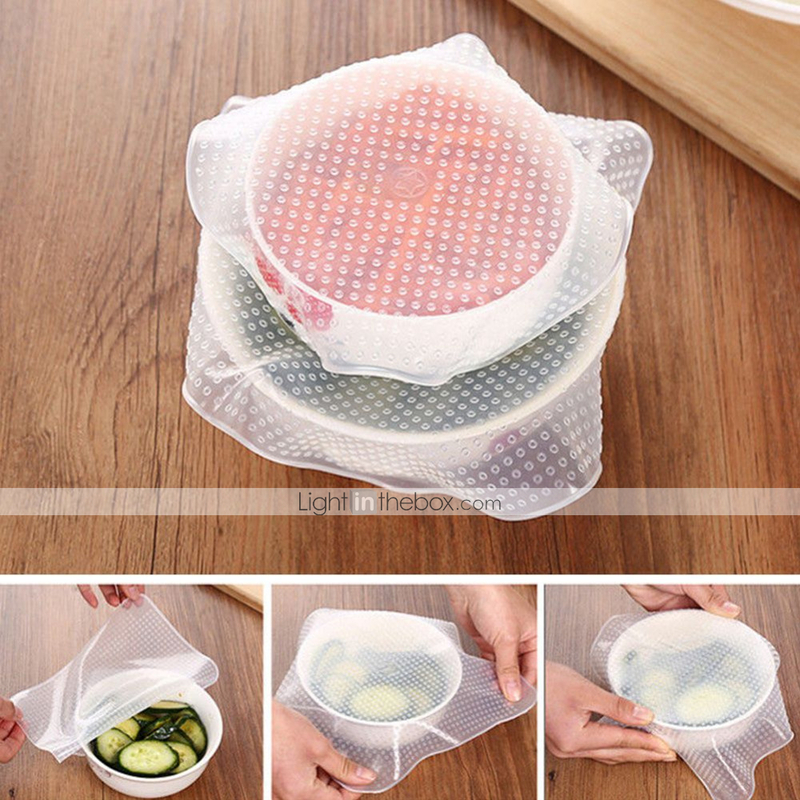 Wraps Material: Silicone Sizes: 1 X Small Wraps: 10*10cm 2 X Medium Wraps: 15*15cm 1 X Large Wraps: 20*20cm Brand new 4Pcs/set Multifunctional food fresh keeping saran wrap kitchen tools . 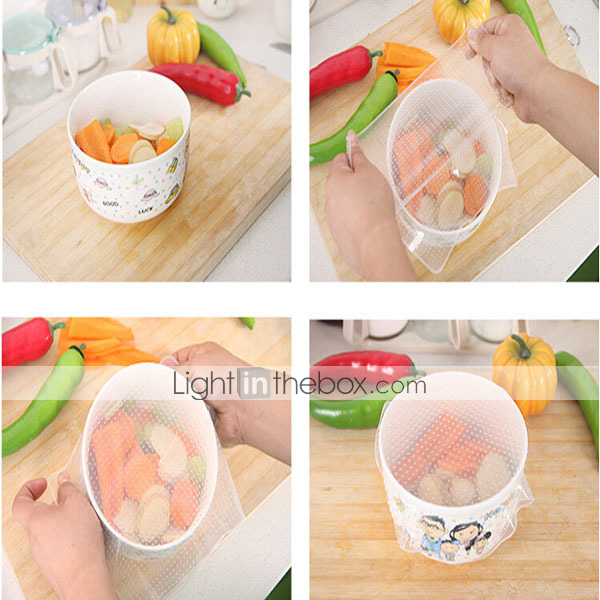 The fast and easy way to keep food tasting great . 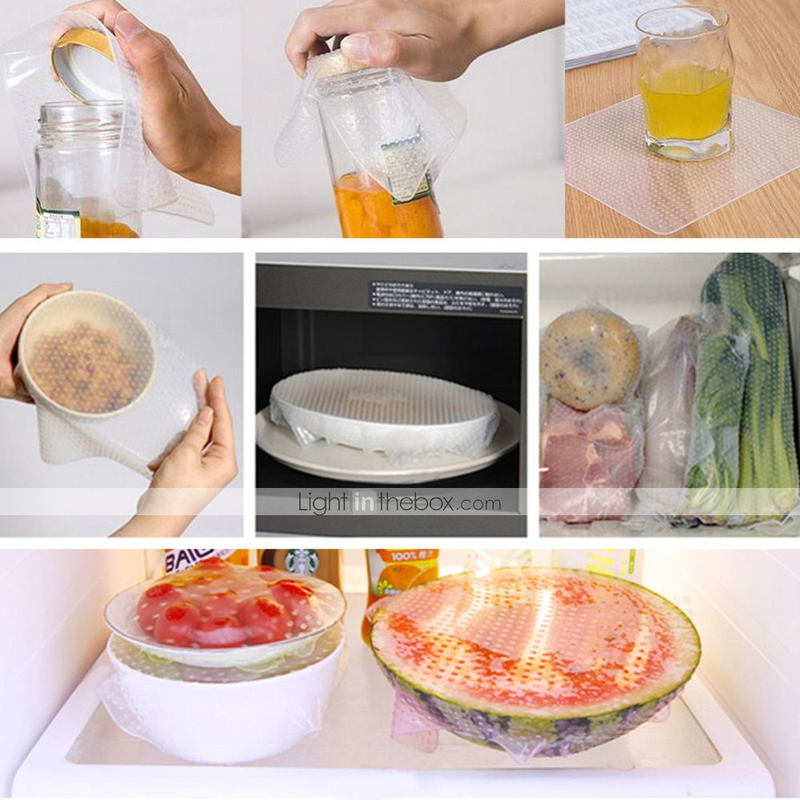 Can be used in the refrigerator, freezer and microwave. 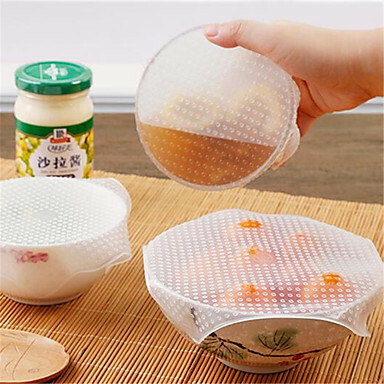 transparent design- food can be seen easily and clearly. 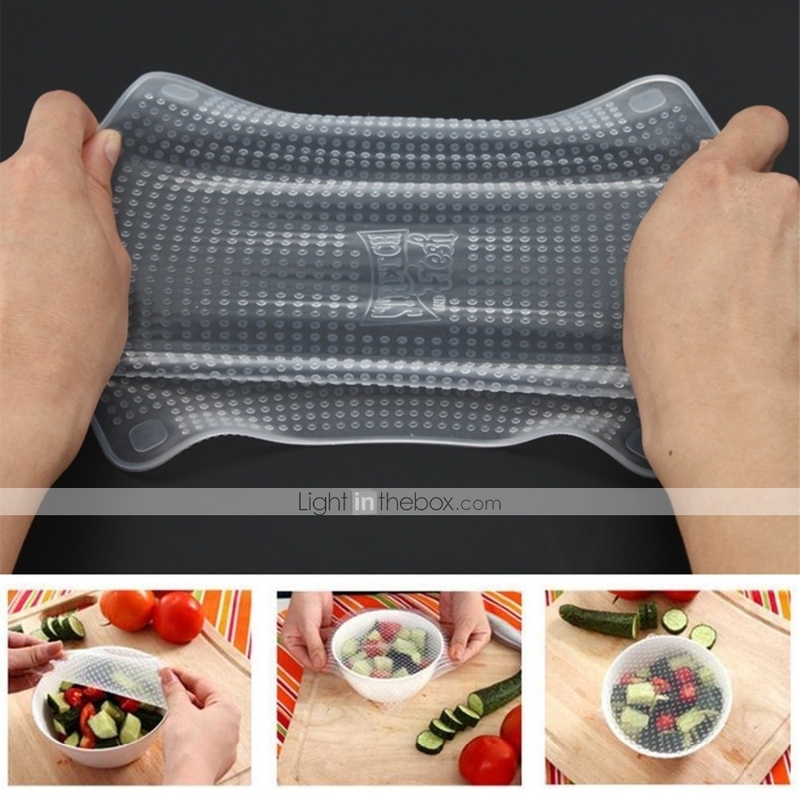 Made from durable, stretchable silicone so you can stretch it into any shape you like. 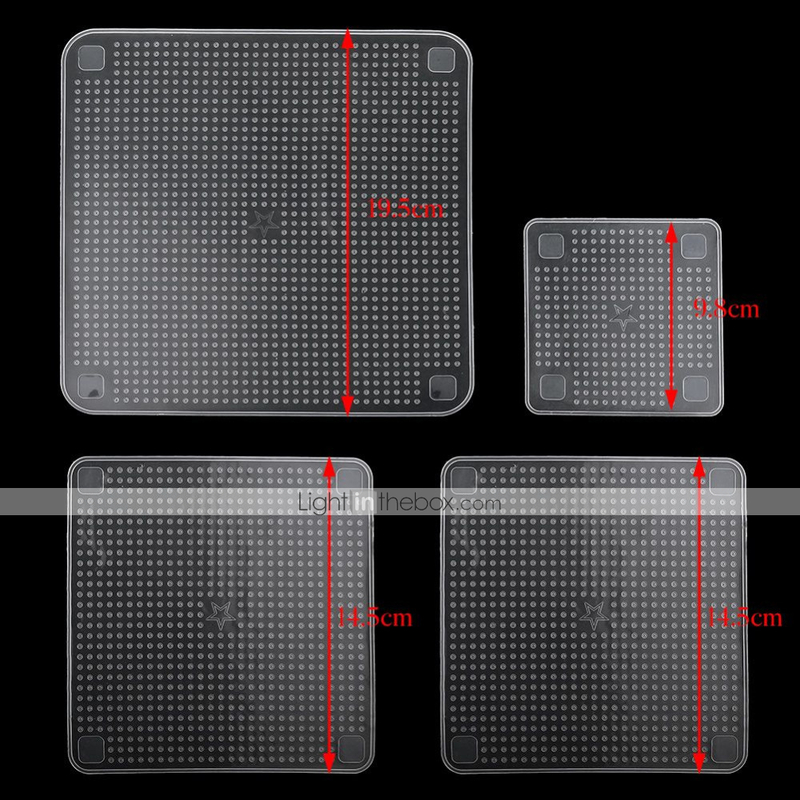 Get in one small, two medium and one large size and you can use it over and over again! 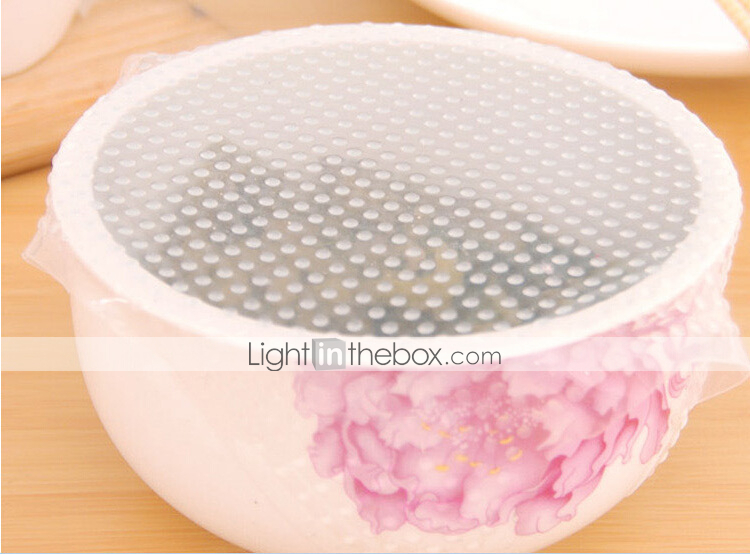 Hygienic and safe- may be rinsed with boiling water and dishwasher safe. 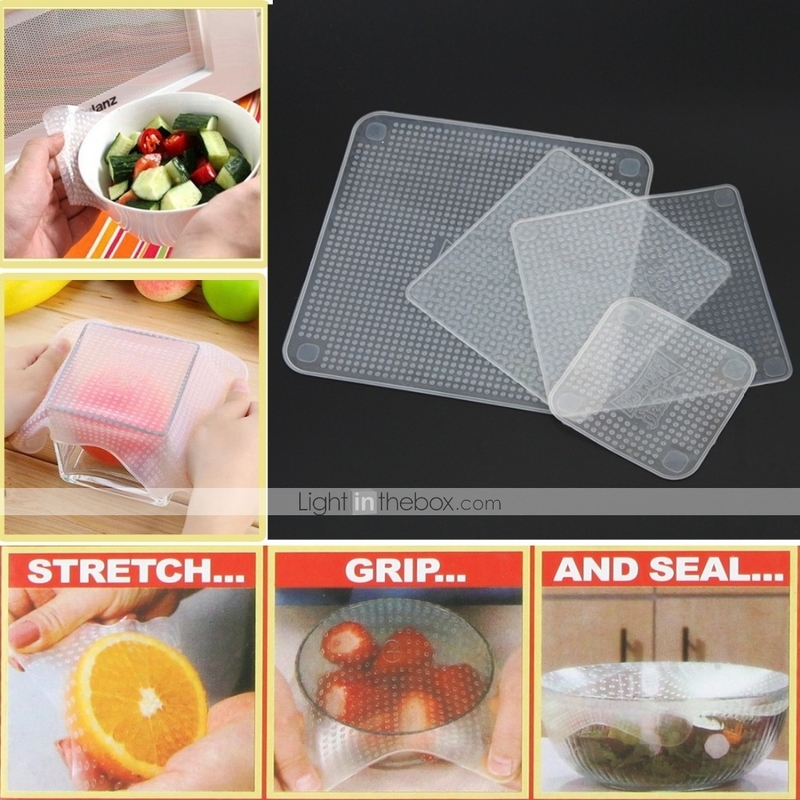 Reusable silicone food wraps seal vacuum cover lid stretch.